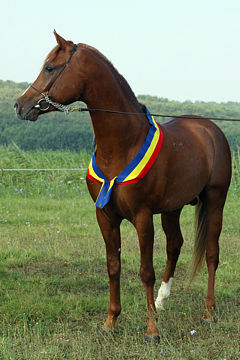 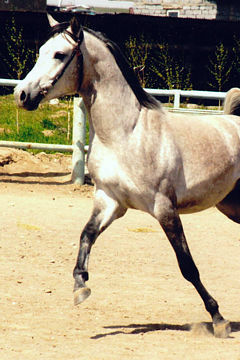 TISEBROUK Bay gelding, *1997 (Djouras Tu / Fatma De Carrere). 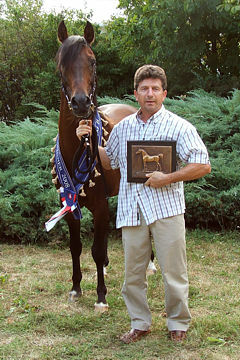 Breeder: Mr. Francois-Xavier Maillot. 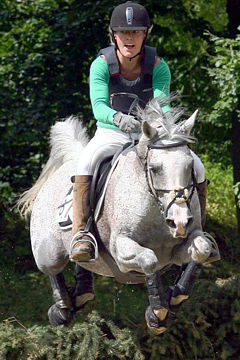 Owner: Alain Gaudino. 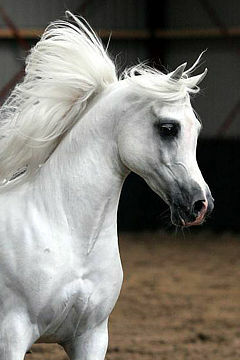 Strain: Seglawi Jedran (Brahmie 1891). 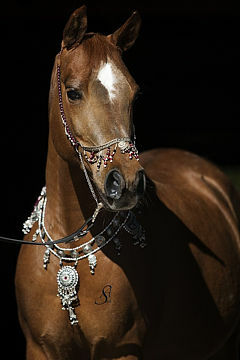 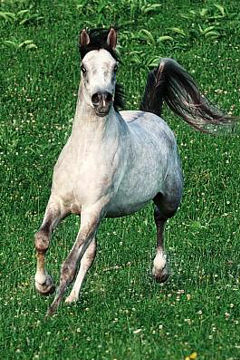 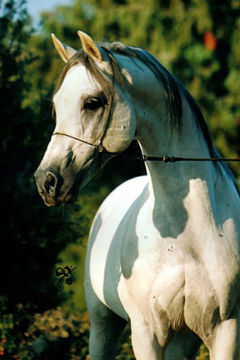 The Association Nationale Francaise du Cheval Arabe decided that the 2005 WAHO Trophy for France would be awarded to the first-placed French-bred Arabian in the ‘Banat Al Reeh’ World Young Horse Endurance Riding Championship. 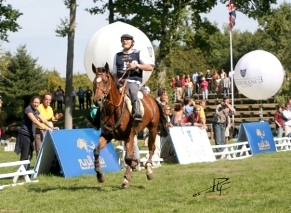 This major event, which has very strict veterinary controls, was held at Compiègne at the same time as the European Championships on 28th August. 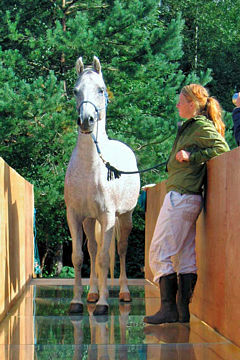 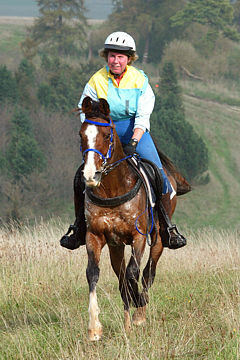 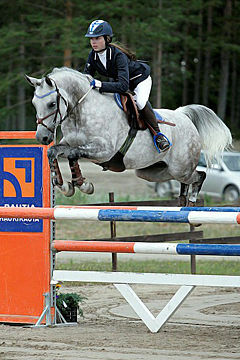 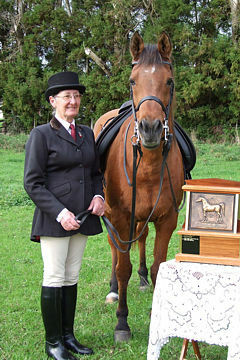 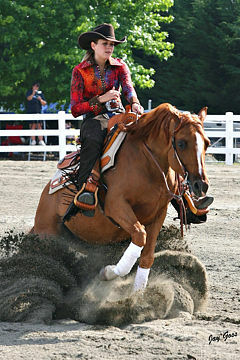 The championship, for horses 7 and 8 years old, took place over a 120 km course, with 96 horses competing from 20 nations. 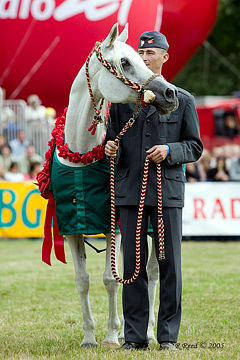 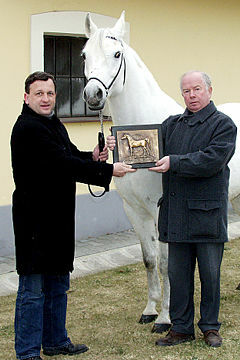 For 2006, the FEI has awarded this important event the status of “World Breeding Championships for Young Horses”. 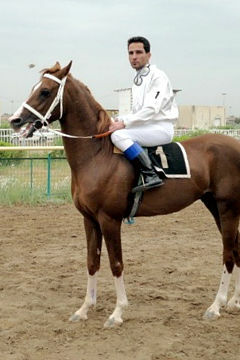 Tisebrouk winning the 2005 ‘Banat Al Reeh’ World Young Horse Endurance Riding Championships, ridden by owner Alain Gaudino. 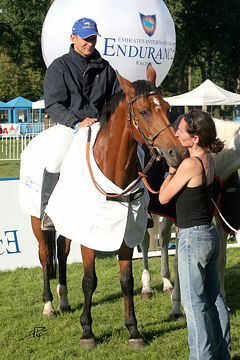 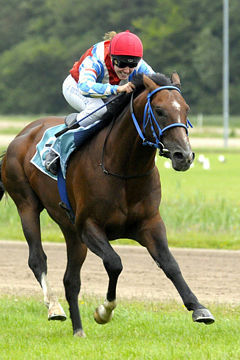 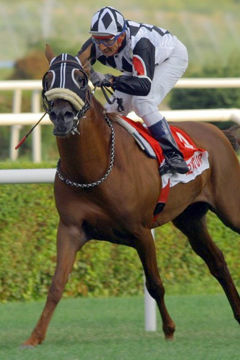 The winner in 2005 was Tisebrouk, an eight year old bay gelding, bred in France by Francois-Xavier Maillot and ridden by his owner, Alain Gaudino. 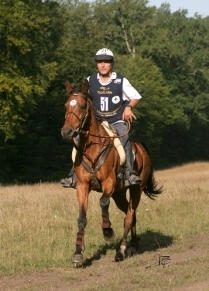 Tisebrouk has been an excellent ambassador for the Arabian breed, taking part with distinction in the growing sport of endurance riding which enjoys great popularity in France. 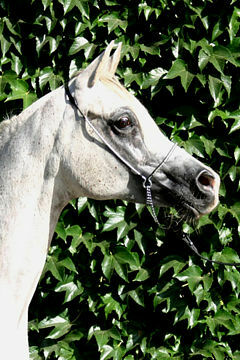 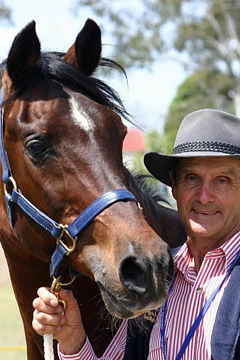 He was in fact bred with a racing career in mind, and did run and was placed as a three year old. 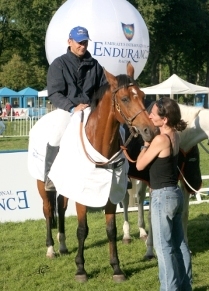 After a year off as a four year old, he was sold at 5 to Alain Gaudino, an experienced French endurance rider. 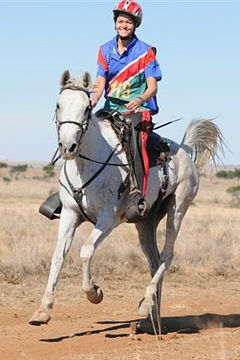 He gradually progressed through the endurance rankings, taking part in 90km rides for 6 year olds and, as a 7 year old, came 12th in the 120km section of the prestigious ride at Florac. 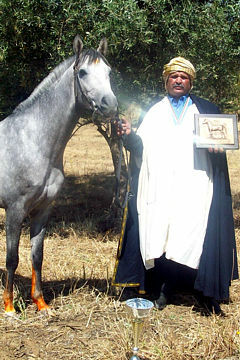 Tisebrouk is the first foal of his dam, Fatma de Carrere, who sadly has now died after producing three further foals, which include Loubianka, 1999 filly by Kesberoy who raced in France before export to Morocco, and Medjerda, 2000 filly by Darike now sold to French and International Endurance rider, Elodie de Labourier. 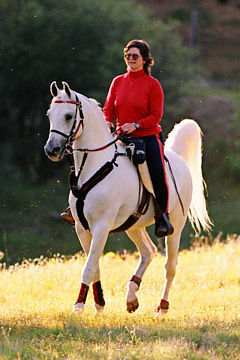 Endurance riding at this levels offers the ultimate challenge in equestrian sports, but it is the sport at which the Arabian horse most excels. 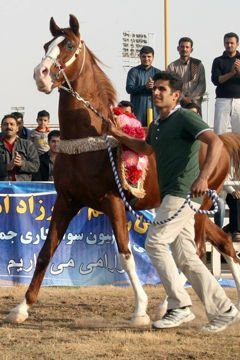 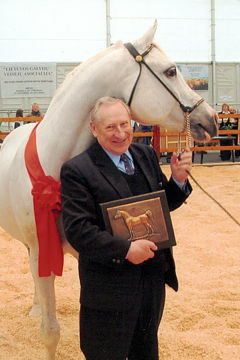 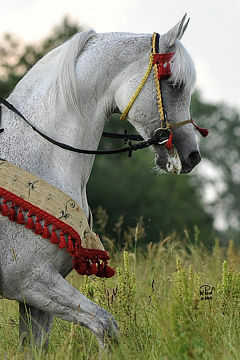 With Tisebrouk’s success, the Association Nationale Francaise du Cheval Arabe was especially proud to be able to reinforce the success of the Arabian and particularly of a French-bred Arabian, winning such a prestigious event against competitors from all over the world and against horses of other breeds. 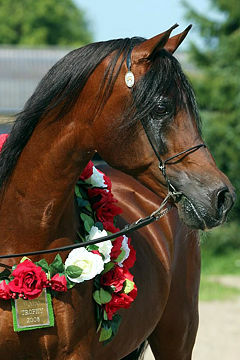 Dr. Hans-J. 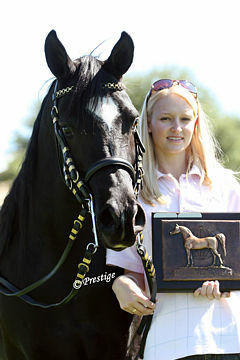 Nagel, WAHO President, attended the event and presented the WAHO Trophy to Tisebrouk.